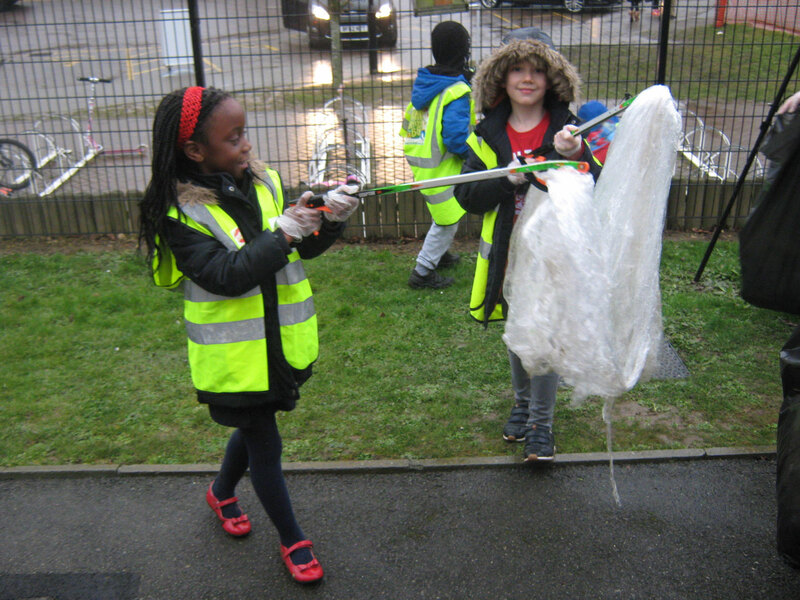 Welcome to the Discovery School Eco-Club. We meet every Thursday after school and together we learn how to help the environment and to make it a better place. 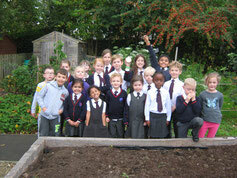 The Eco-Club is linked to the nationwide scheme Eco-Schools. 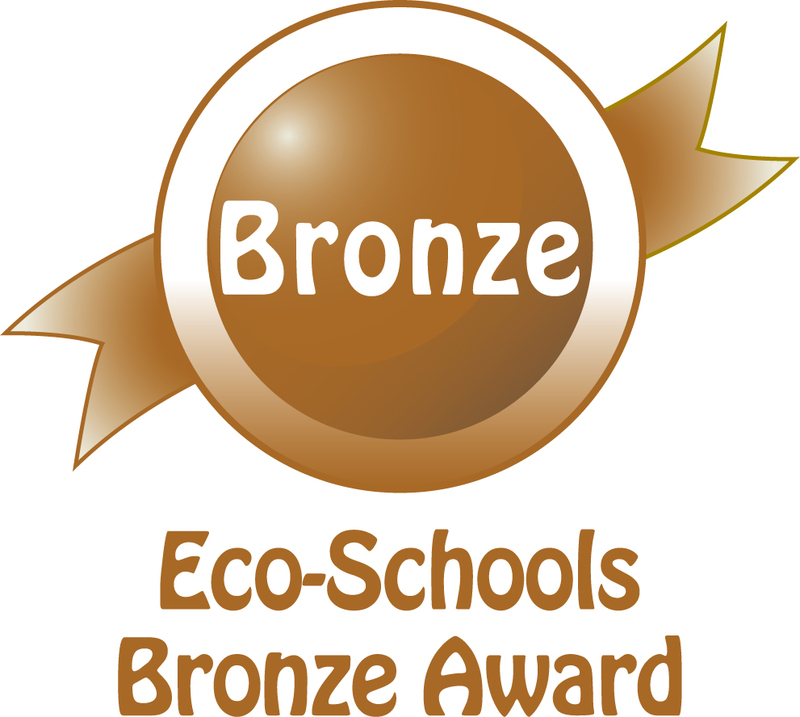 Our main aim is to get the green flag and to be recognised as an Eco-School. There are nine different topics which we need to focus on. 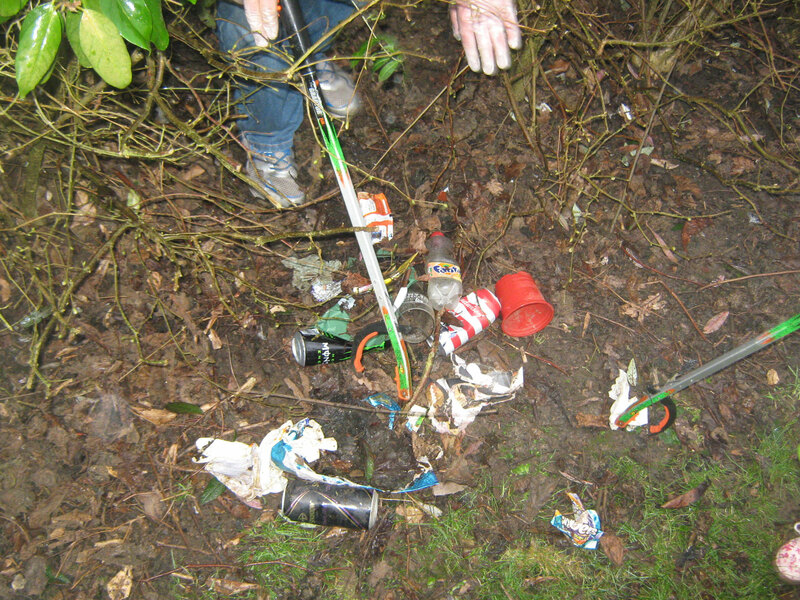 These are; litter, waste, energy, water, biodiversity, school grounds, transport, global citizenship and healthy living. 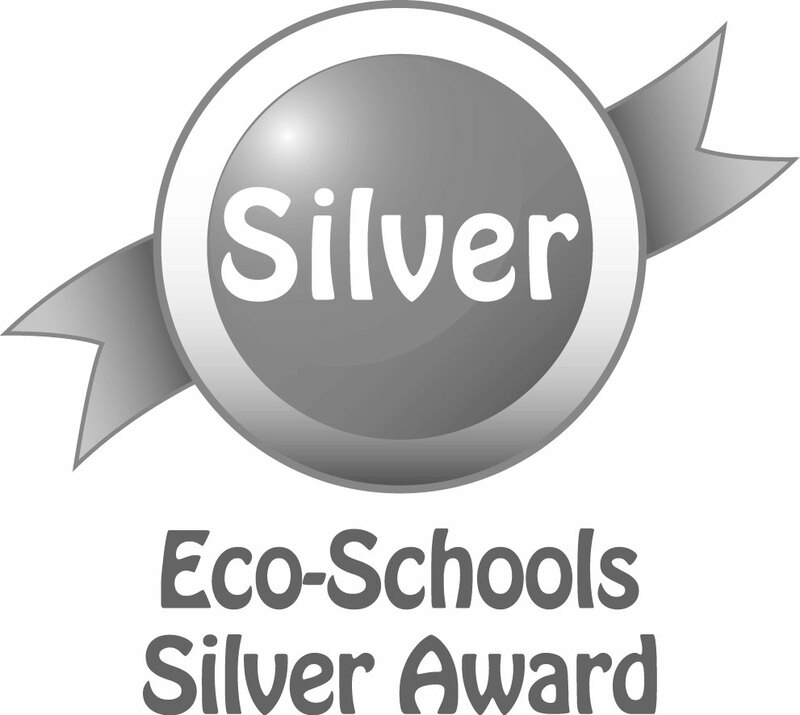 Congratulations to The Discovery School for achieving the Silver Eco-School Award! The Eco-Club worked hard on meeting the criteria for the Silver Award and are now planning ways to achieve the Green Flag. They have thought of ideas to improve the school linked to the three topics; Waste, School Grounds and Biodiversity. You can help by supporting their ideas. So keep a look out for dates, posters and messages of ways you can help us achieve the Green Flag. Provide food for birds. You can grow plants that provide food and/or, buy or make fat balls. Make a log pile or bug hotel. Grow plants that are bee and insect friendly. Have a pond or water feature. Allow a patch of grass to grow longer or sow a wild flower meadow. Click on the RHS logo to find useful information for encouraging wildlife into your garden. Click on the Gardener's World logo to find information on how to make your own fat balls. We used 250g of lard and approximately 500g of seed mixture which we made from bird seed mix, raisins and sunflower seeds. 1. Carefully pierce a hole in the bottom of a clean yoghurt pot and thread a length of string through the hole. 3. Mix the seed, raisins and lard together thoroughly. 4. Place the seed mixture into the prepared yoghurt pot with a spoon. Move the string so that it is near the middle of the pot then leave to cool. For photos of the sunflowers, see the allotment page. As you can see, some impressive specimens and the bees love them. Members of Eco-Club proudly holding the Gold Medal from South, South East in Bloom 2017. 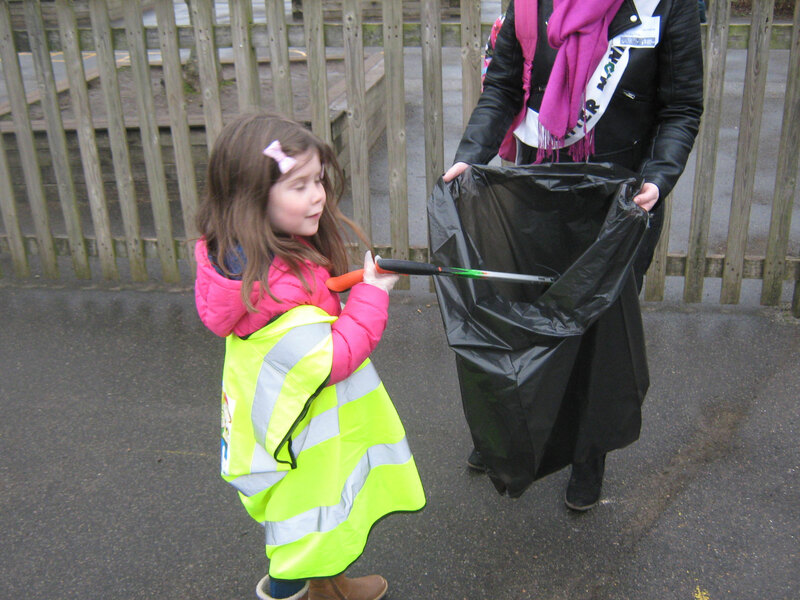 The Big Clean in association with Keep Britain Tidy was on Friday 9th March. 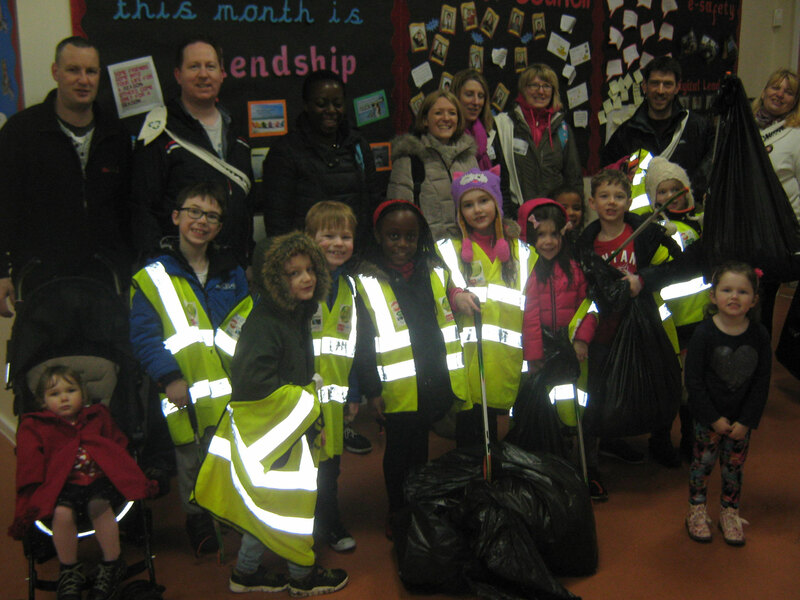 Thank you to everyone who helped pick up litter in the rain. We collected 9.7kg!